It is common for people at the office and at home to have tons and tons of documents they are not currently using. It does not matter if you are a student, a writer, a business owner, or even a chef, you probably have a lot of papers you desire to digitalize so handling them can become an easier task. If you are into creating a paperless office, Advanced Scan to PDF Free is the tool you should have to scan and convert all those documents that are taking too much space of your office. One of the most attractive features this best PDF scanning software counts with is that it is free to download and use. Usually, software like this one must be paid to use for a certain period of time. Even memberships are asked to those who want to scan and convert documents to PDF files. Advanced Scan to PDF Free asks for no fees nor memberships. From the moment you download it, you can use it as much as you want while producing excellent results. 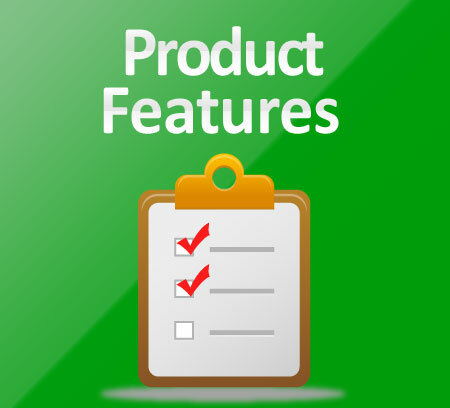 Its simple interface makes this software a very easy-to-use one. Getting to know how to scan a document to then convert it into a PDF file is a simple 3-step process everyone can learn. Scanning is not a task to be done only for digitalizing office documents, but every type of paper you have. Notebooks, comic books, essays and even magazines, you will scan and convert them into high-quality PDF. You can preview how the documents you are scanning will look like after being converted. You can adjust each setting to make each document fit with your needs. Not only documents, images can also be converted into PDF files. Advanced Scan to PDF Free works not only with *.JPEG format, but with many others. You can add passwords to your PDF files, so you can send them while protecting their content. Only those who have the right password will be able of reading and editing the file. You can also eliminate passwords from protected PDF files. Advanced Scan to PDF Free allows you to create digital signatures, so the documents you scan and convert can have an identification. People will know who the author of the files they will be reading is. Your office – whether you work at an establishment or at home – can be a small area for you to work. Comfort is important at the time of working, and having a room full of papers you do not know where to put is not a comfortable working area at all. Digitalizing papers will make your office a more spacious environment where you can put your cup of coffee, your personal belongings and even a nice item to personalize your working area. 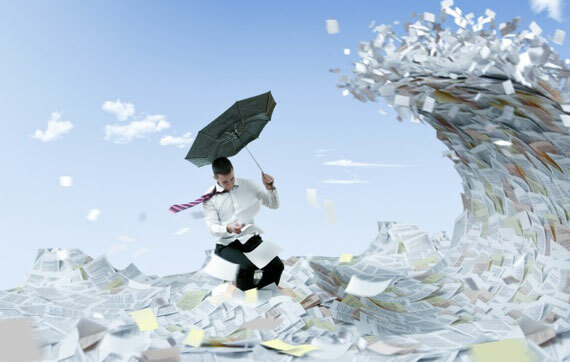 It is known that big and small companies are working less and less with printed documents. PDF files have become a more practical way of sharing information with others. Therefore, it is better to have a free downloadable software that can help you to convert documents into PDF instead of creating more and more papers people do not want. Creating a paperless office is also a great option for the environment. Recycling those papers you can digitalize with Advanced Scan to PDF Free will make you an eco-friendly citizen who is aware of the well-being of the planet. A simple and understandable pro of going paperless is how affordable it is. Sharing PDF documents with a lot of people at once is quicker and requires no money. This is a more reasonable option, instead of printing tons of papers that people will cast aside later. 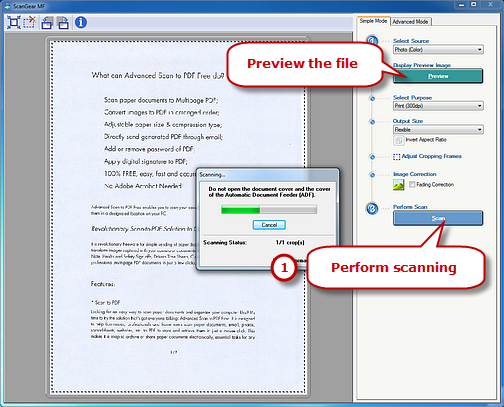 How to scan a document into PDF to make a paperless office with Advanced Scan to PDF Free? Before creating your brand new paperless office, you must download this free software. 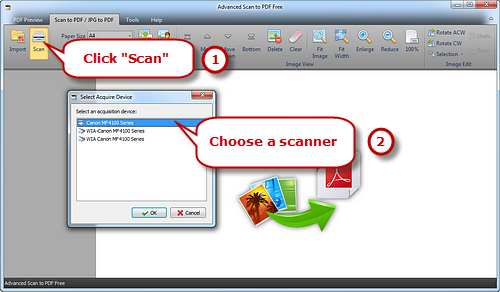 Advanced Scan to PDF Free, not like those websites that offer online tools, is free to download and to use. You will not pay any penny for creating your new office, nor register in any website. After downloading and launching this scanning and converting software, you will be transforming documents into PDF files with no limit. Step 1. Activate the scanner. Put the paper you want to scan in the scanner. Go to the toolbar and click the option “scan”. Choose the scanner you want to use, and click “ok”, so you can start the process. If you want to see how the file would look like after being scanned, click “preview”. Then, click “scan”. You can rotate, reduce, enlarge, and fit the image just the way you need it. If you are scanning several images, you can adjust their order by moving them in the panel on the left. These and more options will appear in the toolbar so you can adjust all the details of the images you are scanning. Step 3. Set the output settings and save. Before converting the pages you just scanned into a PDF file, you must select the page size. First, you have to click “save PDF”, then you choose the folder where you want to save it, and finally, click “ok” to start the converting process. Going paperless is now an effortless adventure since Advanced Scan to PDF Free makes all the hard job in a simple and quick way. There is no more overwhelming because you do not know where to put your documents in your office, nor more struggling because you do not want to throw away papers that might be important for you sometime in the future. You can have a more spacious office and be an eco-friendly member of society by downloading for free Advanced Scan to PDF Free. 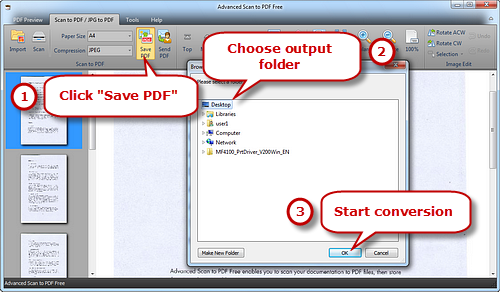 This easy-to-use free software will be your best friend at the time of scanning and converting a document into a PDF. Digitalizing documents has never been so easy.